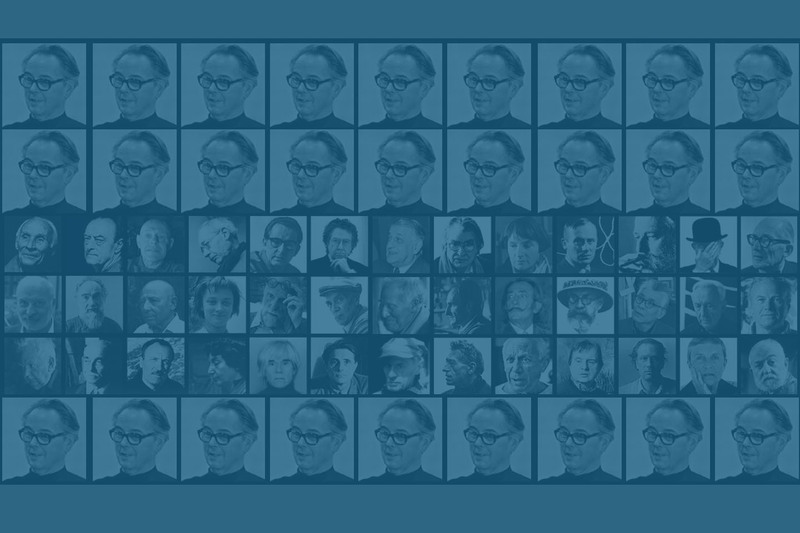 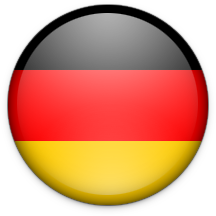 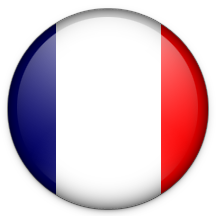 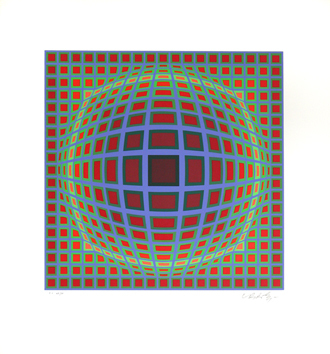 The art of tomorrow will be a commun treasure within which art no longer exists. 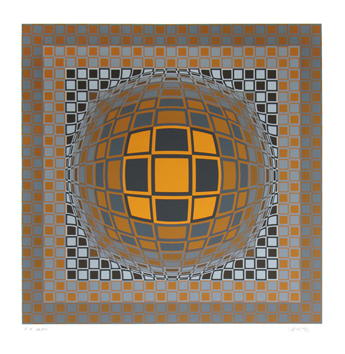 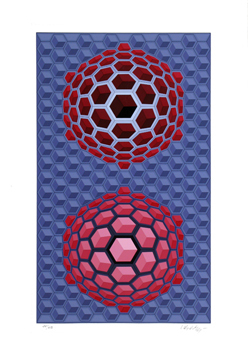 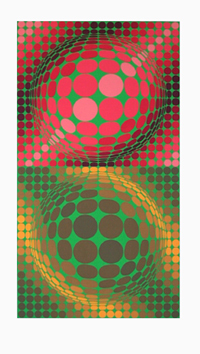 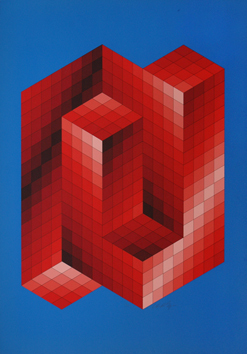 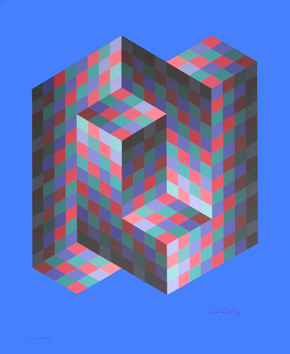 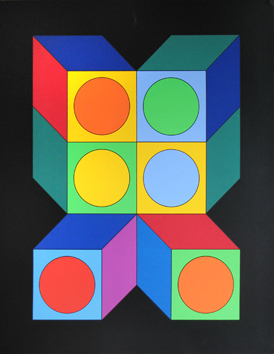 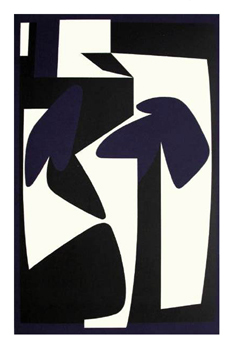 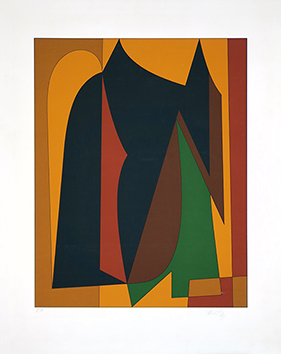 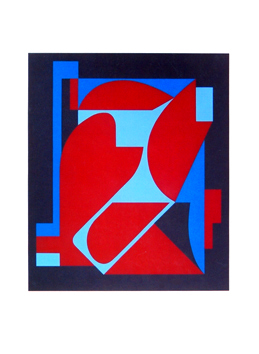 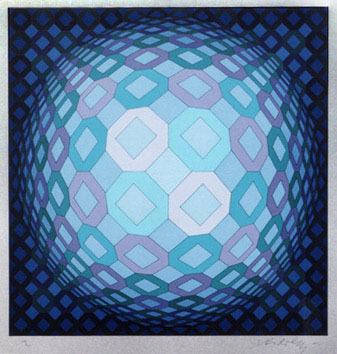 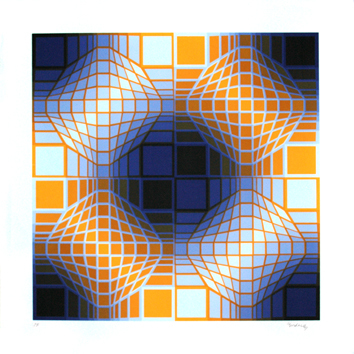 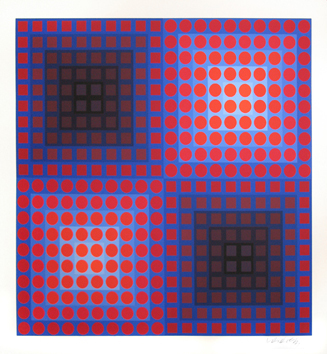 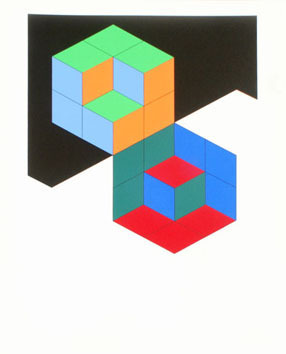 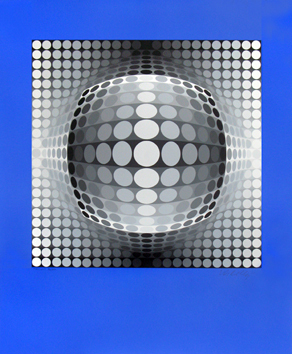 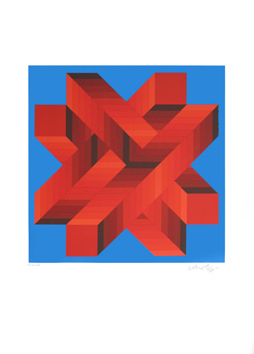 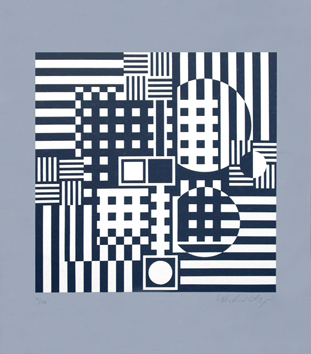 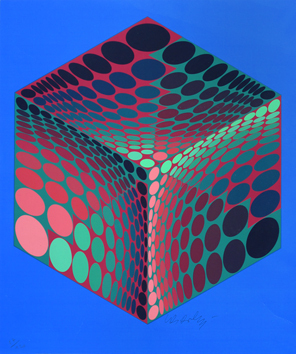 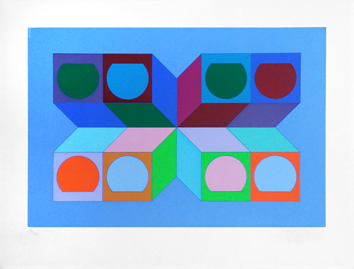 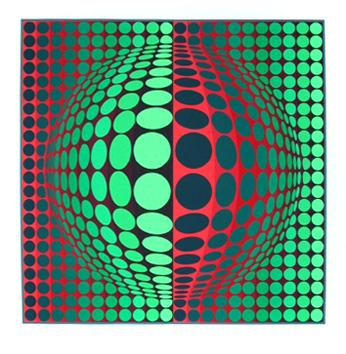 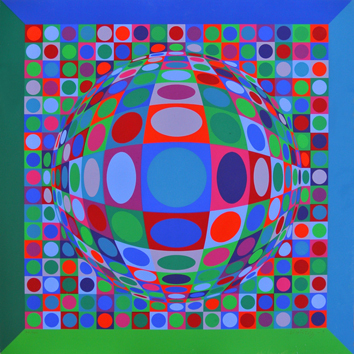 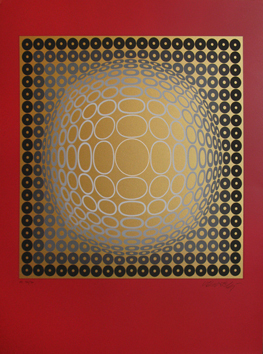 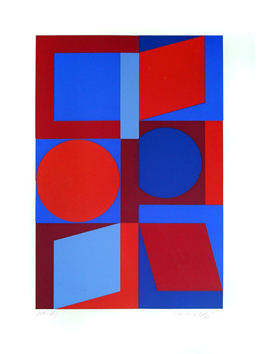 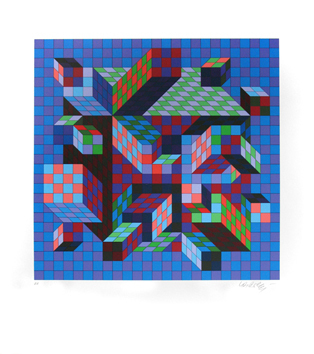 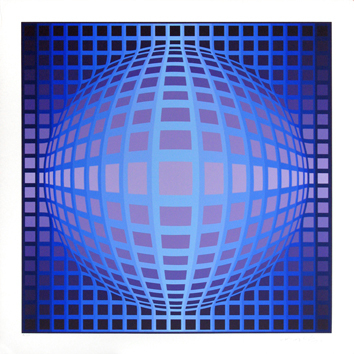 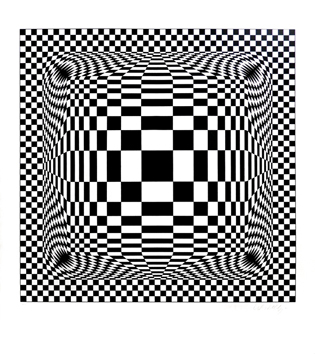 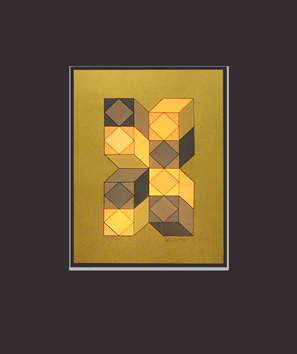 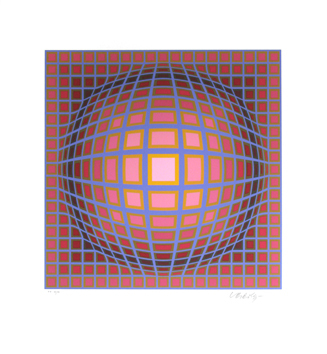 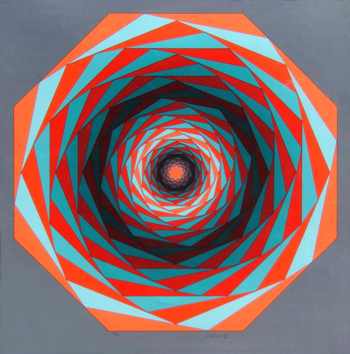 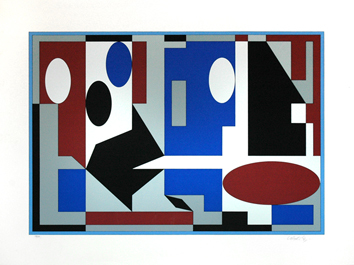 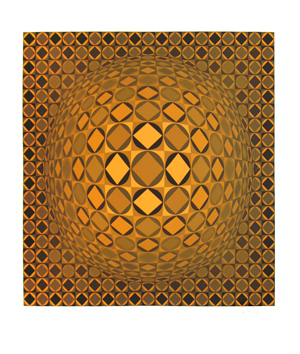 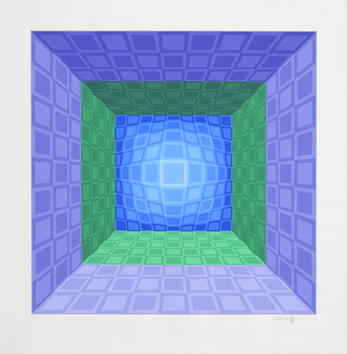 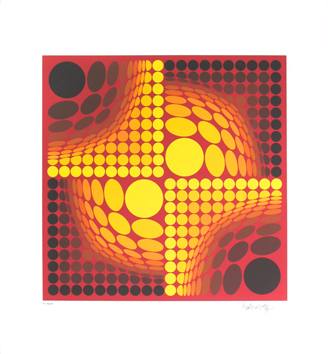 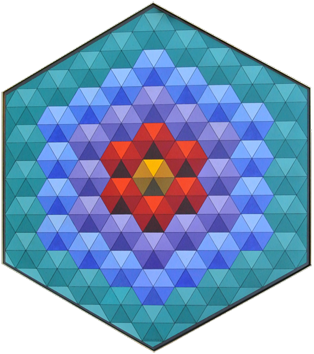 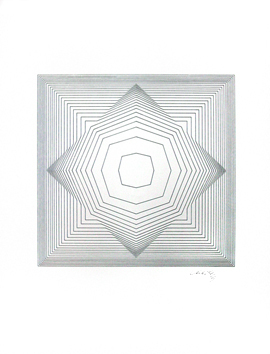 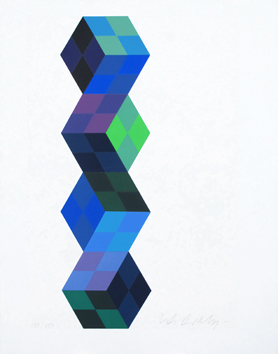 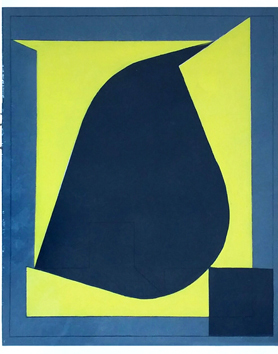 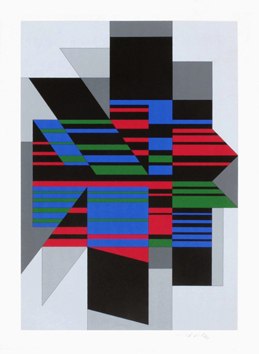 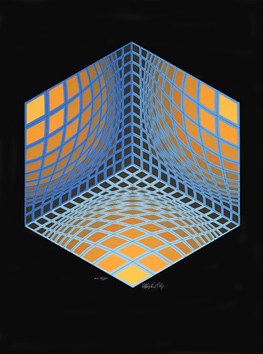 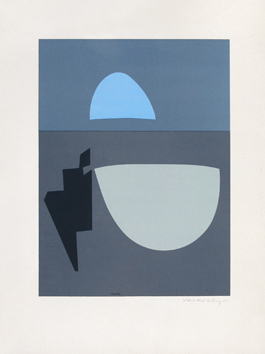 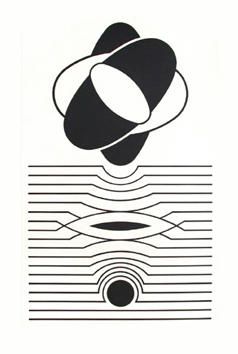 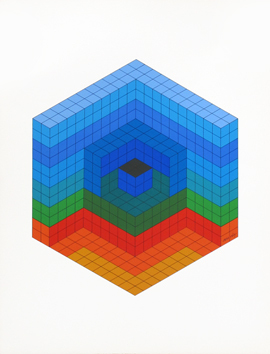 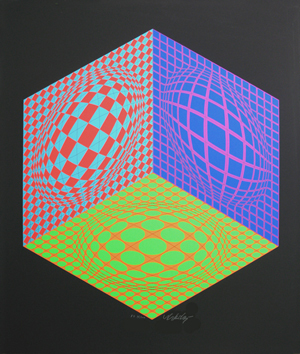 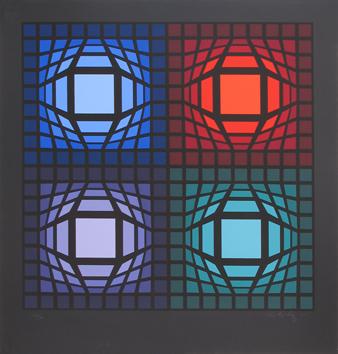 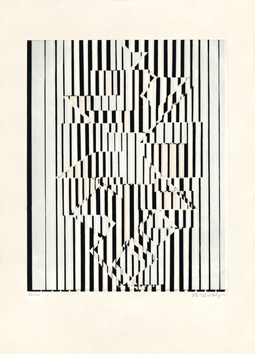 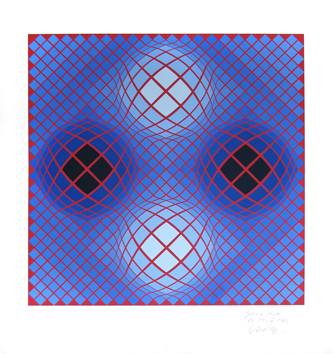 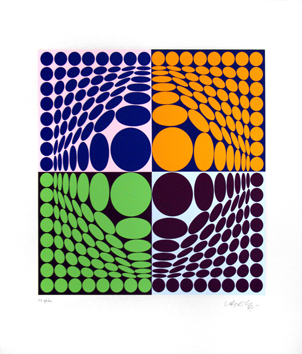 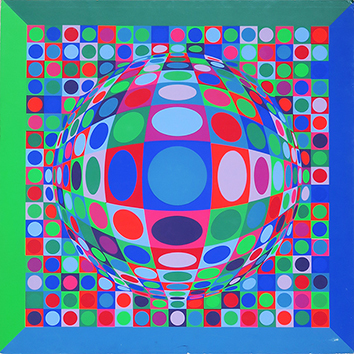 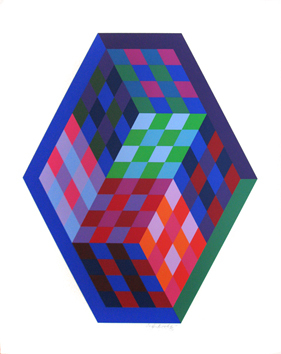 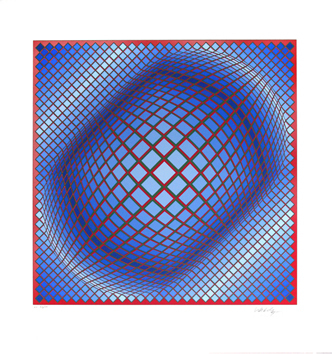 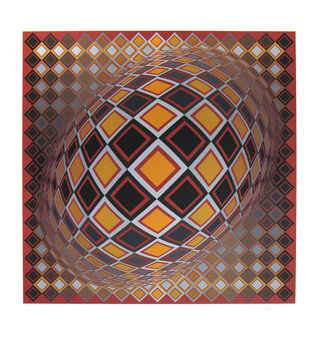 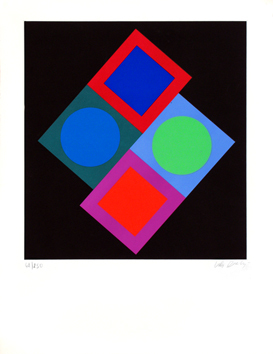 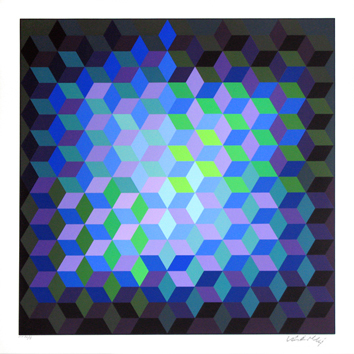 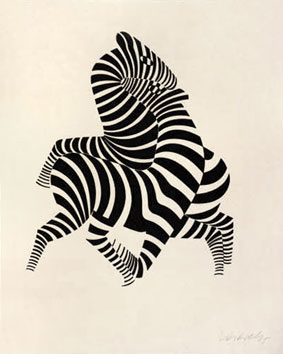 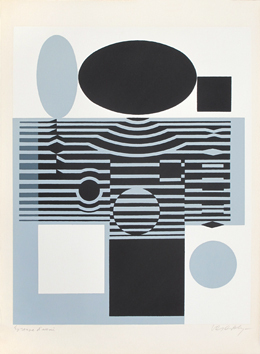 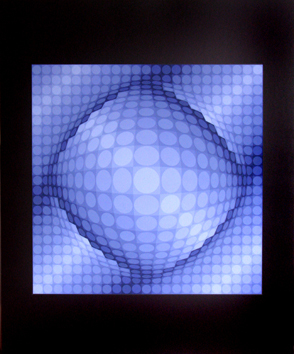 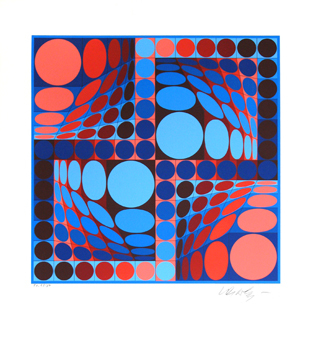 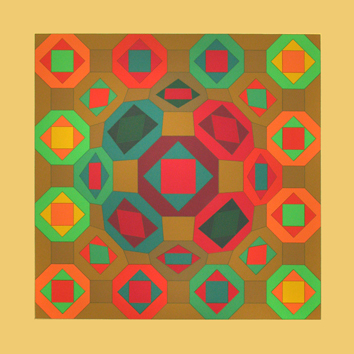 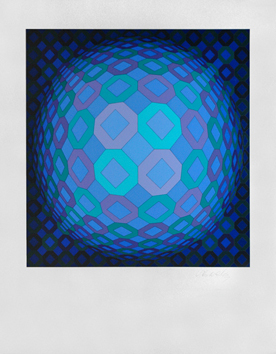 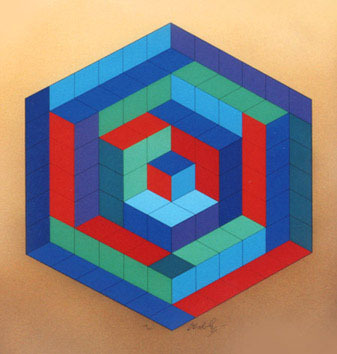 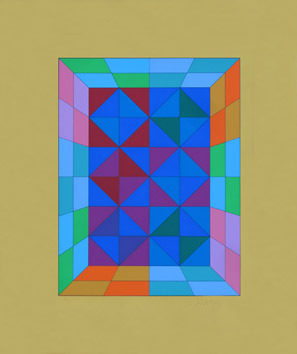 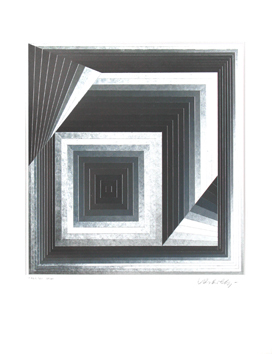 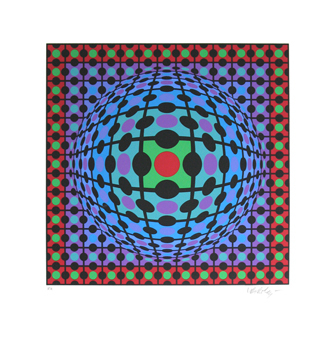 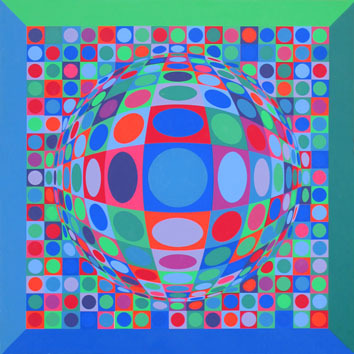 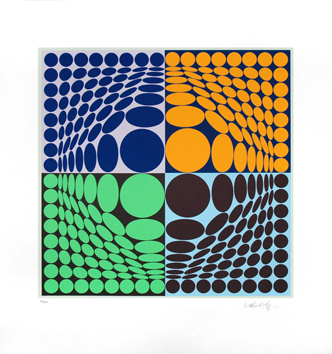 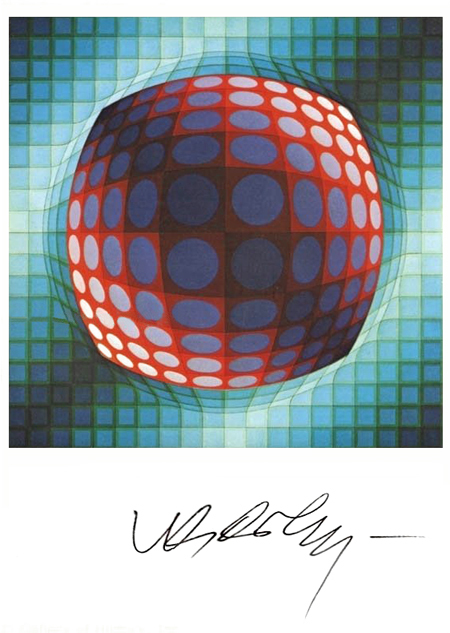 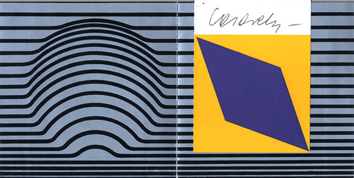 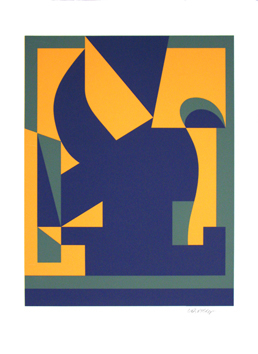 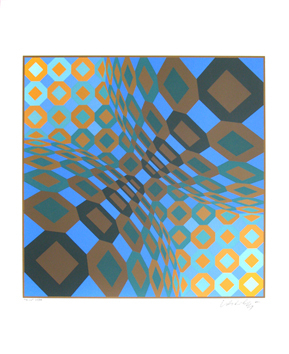 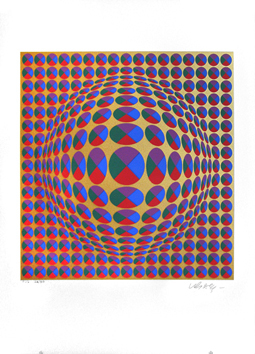 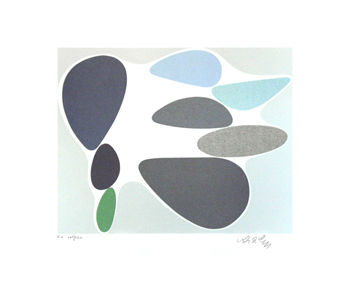 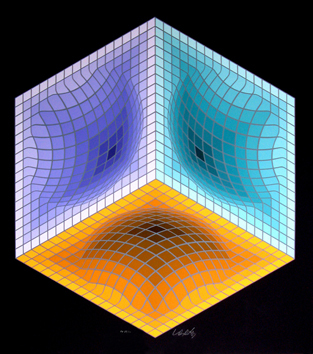 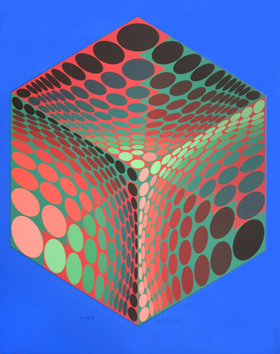 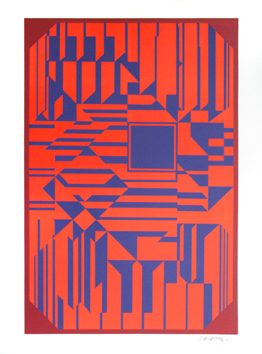 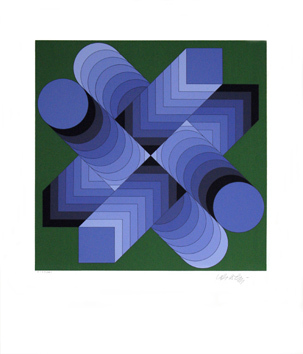 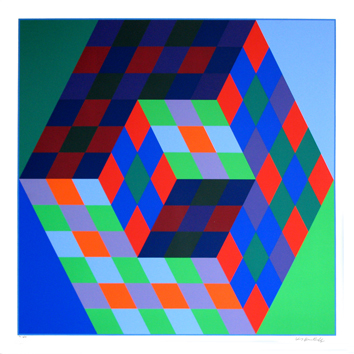 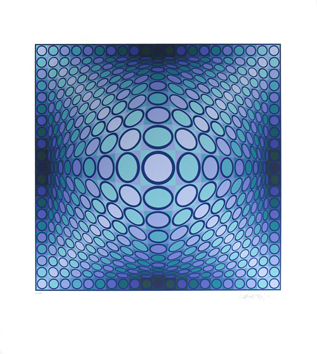 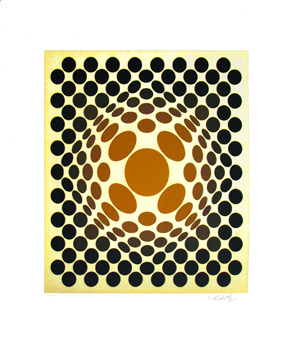 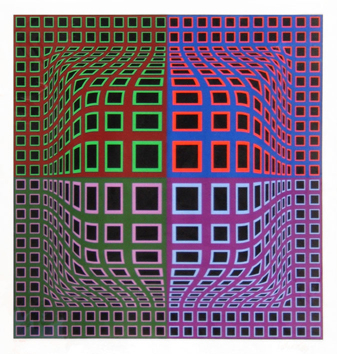 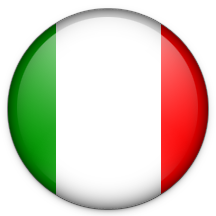 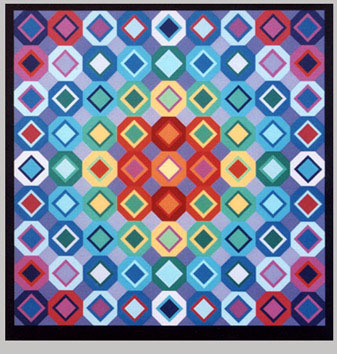 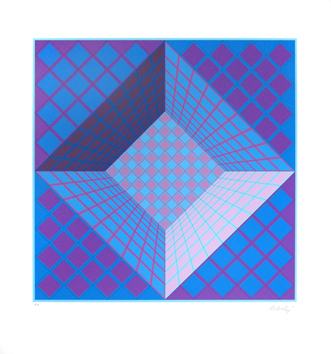 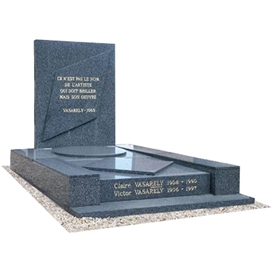 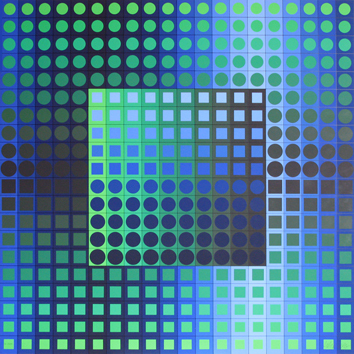 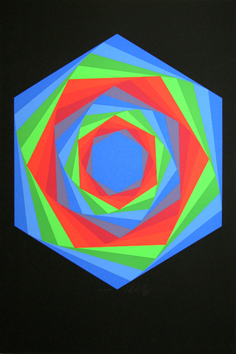 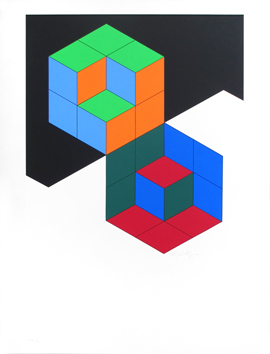 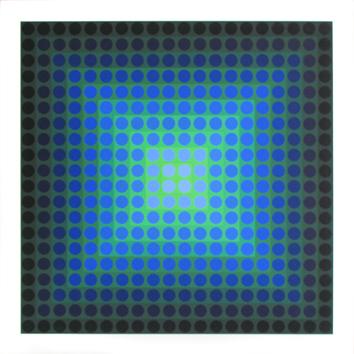 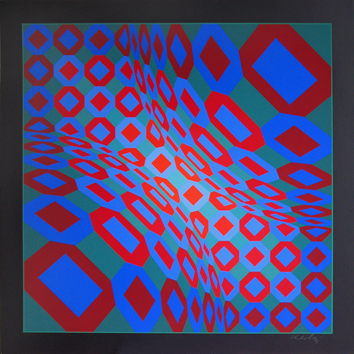 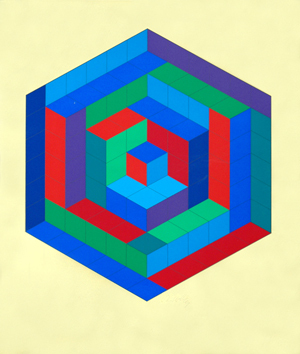 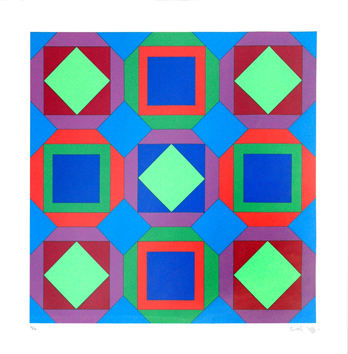 Victor Vasarely was born in Pecs (Hungary). 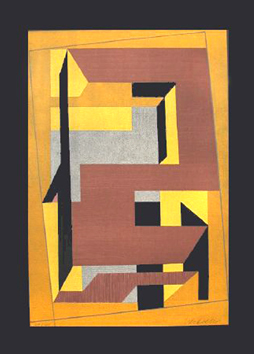 He began studying medicine, left these courses and joined the fine art (1927-1929), then the Bauhaus of Budapest where he became the pupil of Sandor Bortnyik. 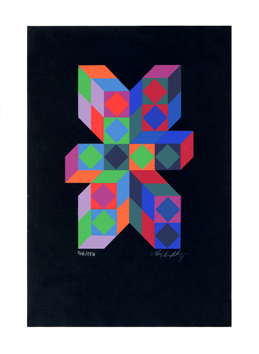 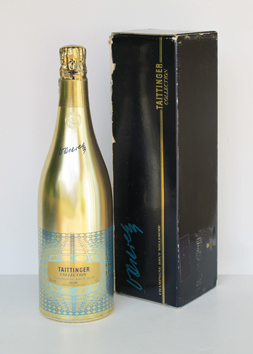 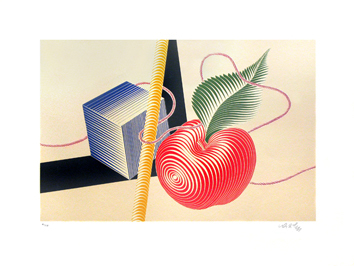 His first personal exhibition was organized in Budapest in 1930, this same year he settled down in Paris. 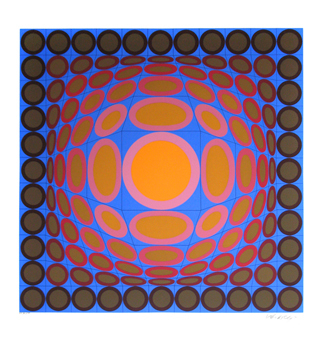 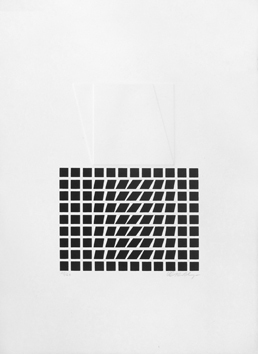 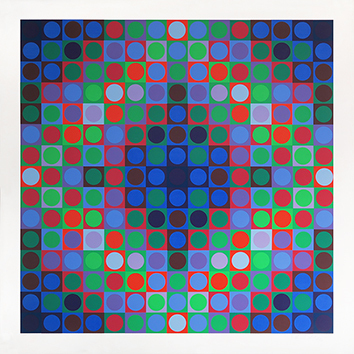 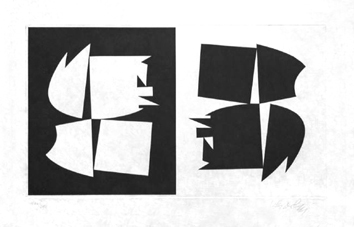 During a first period, Vasarely created a plastic alphabet whose infinite combinations had . 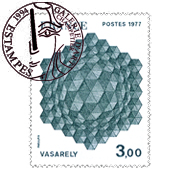 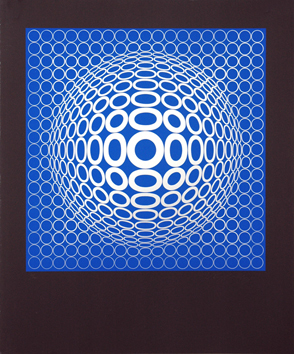 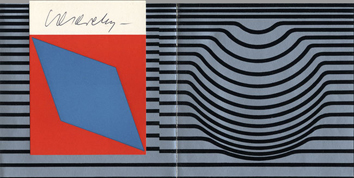 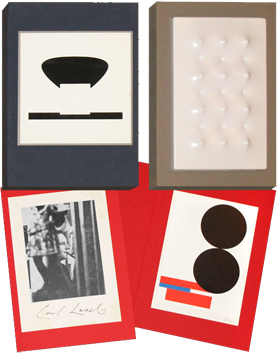 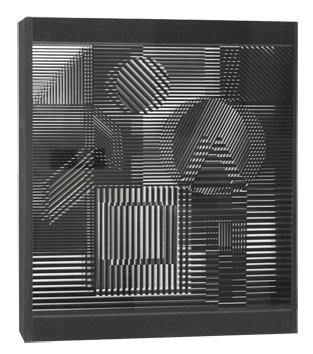 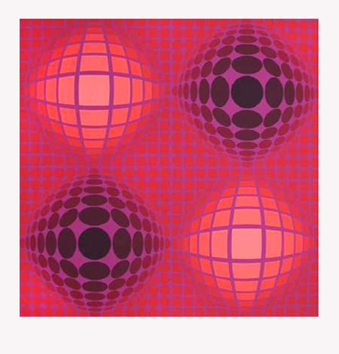 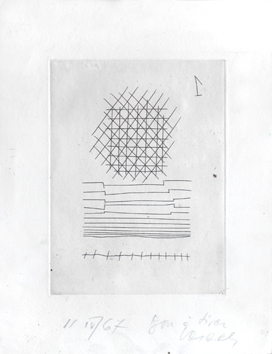 . .
*« Vasarely », 4 Vol., Marcel Joray, Ed. 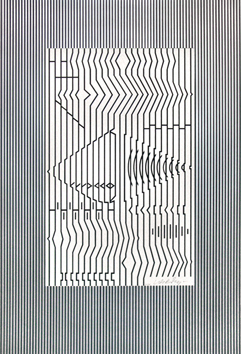 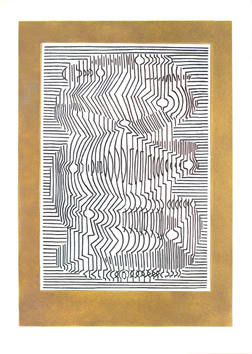 du Griffon, Neuchâtel, 1965-1980 All the "catalogues raisonnés"
+ OPTICAL ART / 1955-1968 / Nicolas Schöffer (cybernetic art), Larry Poons, Bridget Riley, etc.